President of Inventive Resources, Inc. John Paoluccio operates the ultraviolet light treatment boat at Lakeside Marina. SOUTH LAKE TAHOE, Calif. — A pilot program that used ultraviolet light to combat aquatic invasive plants has shown promising results. 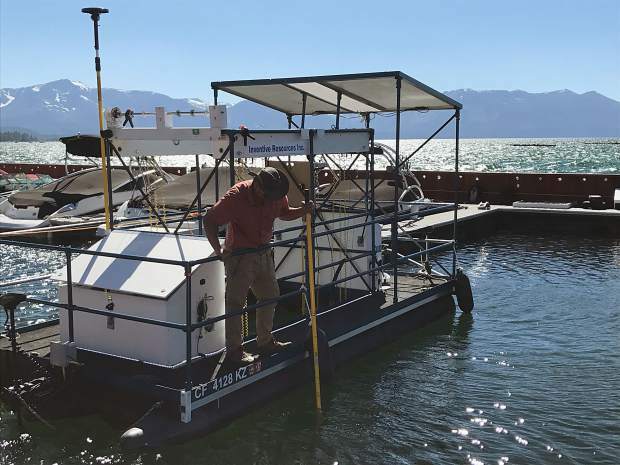 Results from the program, which was deployed in Lakeside Marina in the summer of 2017, show the use of ultraviolet-C light successfully killed submerged aquatic plants, according to the Tahoe Resource Conservation District. Most of the submerged plants showed signs of deterioration or complete collapsing withing seven to 10 days following the treatment, which was administered via a specially-made boat fitted with a drop-down panel of UVC lights. The results were so successful that the conservation district, which teamed with Inventive Resources Inc., on the pilot program, is recommending continued use and analysis of ultraviolet light as a control tool at Lake Tahoe. Inventive Resources Inc., a private engineering firm with a focus on environmental services, touted the results as an example of how technology can be successfully used to fight invasive plants. Although complete eradication of aquatic invasive plants may not be achieved with only one treatment, a decrease in plant percent cover, height and density was observed. 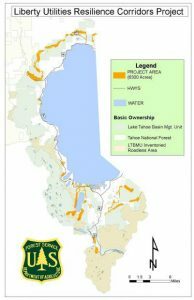 Officials believe that with a consistent and comprehensive treatment plan, Ultraviolet-C will be a successful tool to control aquatic invasive plants in Tahoe waterways, especially when paired with other approved techniques. In addition to determining the basic efficacy of using UV-C light to treat invasive plants, the pilot program also provided information to support future environmental document analysis. 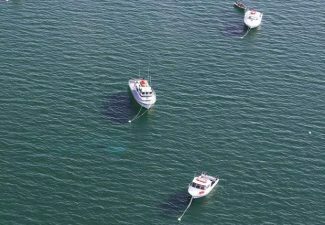 The conservation district says it is currently working on that analysis, which will expand available methods and techniques to implement lake-wide control methods for treatment of aquatic invasive plants at Lake Tahoe. This revised document will include Ultraviolet-C light along with other proven mechanical techniques, according to the conservation district. That would make UV-C light the latest tool used to fight aquatic invasive species, which are a threat to Tahoe’s famed clarity. Invasive species compete with native species and can increase algae growth. In 2018 the League to Save Lake Tahoe and Tahoe Keys Property Owners Association installed a “bubble curtain,” a device intended to stop the spread of invasive aquatic plants by creating literal barriers in water channels. 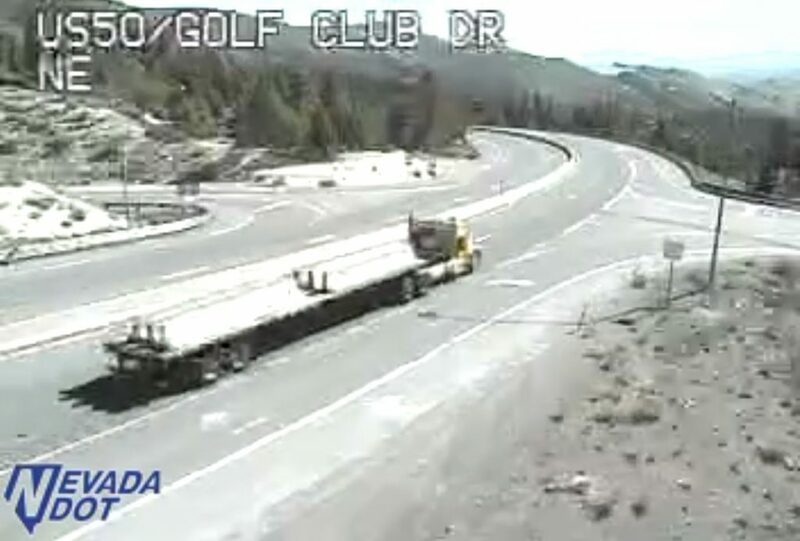 The deployment in the Tahoe Keys was the first time the technology was used at Lake Tahoe. More traditional measures, such as the use of bottom barriers, continue to be used in different areas around the lake. 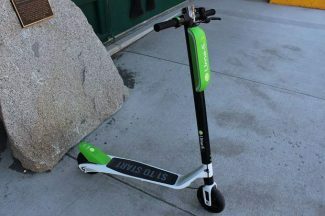 The pilot program was funded by a Proposition 1 grant from the California Tahoe Conservancy and private contributions from the Tahoe Fund. To view the full final monitoring report from the pilot program, visit tahoercd.org/tahoe-aquatic-invasive-species-resources/.